Aunt Jennie, otherwise known as Jenvieve Adams, famous portrait photographer, has been called upon by her Witchlight Community to help two lost souls find their way. Long ago, Jenny was just like the two who are about to land on her doorstep and now it is her time to give back to those who helped her all those many years ago. Meet Lizard, a tough, street girl who has landed herself in a bit of trouble and found herself in Aunt Jennie's kitchen at 2 a.m. eating chocolate cake. She loves big words, bacon breakfast sandwiches, and tattoos Oh...and she is a mind witch. Say hello to Elsie. She's a therapist, organized, controlling and about to have a midlife crisis at age 32. She was either going to get help, do some fundraising for the United Way or take a month-long workshop in trapeze flying. She decided it would be best...wait! Trapeze flying! Sorry...that was a little OTT, but keep that as food for thought later. In the meantime she's going to spend some time with Aunt Jennie and Lizard and maybe tap into her witch capabilities. One of the things that I really like about this book is that it used letter writing as a form of telling the story. The letter writing was modernized and is seen as an email, but it is letter writing none-the-less. It gives the story a nice break and makes the reading a more intimate experience. 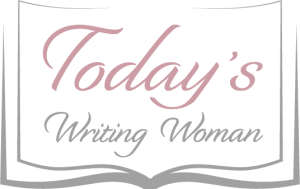 Ms.Geary has done a wonderful job in stepping aside from her Modern Witch Series and help develop a couple of ancillary characters so her readership has a better understanding of the entire Witchlight Community. 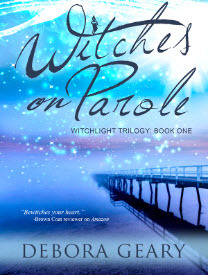 Witches on Parole offers a respite from the main stories and shows how two completely opposite and misfit witches find their way to acceptance and love in a community they never imagined.